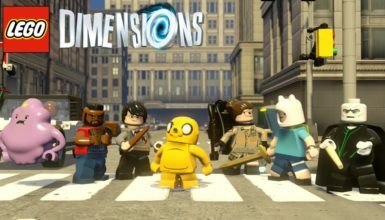 With the release of LEGO Star Wars: The Force Awakens this week and the future of LEGO Dimensions Year Two revealed at E3, what’s next for the world of LEGO Videogames? We’ve been looking to the tea leaves to see what possible and what’s a pipe dream. 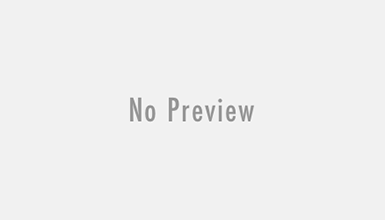 TT Games is currently made up of two main studios – TT Games who mainly work on console titles and TT Fusion who are better known for handheld output however they have worked on a number of home console titles too. With TT Games currently focused on creating the next waves of content for LEGO Dimensions and TT Fusion now finished with LEGO Star Wars, what could be due next? 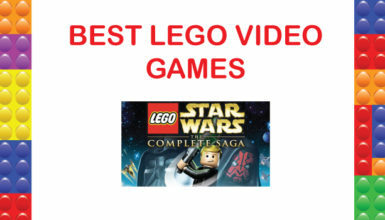 Could the first of TT Games LEGO outings, LEGO Star Wars, get remastered to coincide with the saga’s 40th anniversary? Or will there be any other surprises appear in 2017? Please note these are mere speculation, we don’t have any insider knowledge or clairvoyant powers, it’s just a bit of fun. My money would of been on a game based on next year’s The LEGO Batman Movie, but that has since been announced as a Story Pack for LEGO Dimensions, it’s also a little too early for another Marvel or DC Super Heroes title, although DC are working on a Justice League movie and Marvel are returning to Xandar for Guardians of the Galaxy Vol 2 (who were oddly absent from LEGO Marvel’s Avengers) So it’s possible we may be getting titles based on another major LEGO theme. Next year marks the release of The LEGO Ninjago Movie, TT Fusion have already worked on a number of handheld titles based on the world of Ninjago and a number of characters have also appeared in the first year of LEGO Dimensions sets. With the announcement of year two franchises, LEGO Ninjago was oddly absence. So it’s highly possible we could be getting the first home console outing for the ninja of Ninjago. The latest LEGO ‘Big Bang’ theme Nexo Knights has made quite the impact and appears to have been well received with younger LEGO fans. The very same gamers who are the majority audience for handhelds and mobile gaming. In the past LEGO Ninjago, Legends of Chima and even LEGO Friends have all had handheld only titles released on both PlayStation Vita and Nintendo 3DS. So it’s possible the Knights of Knighton may be appearing on handhelds and mobile quite soon. When LEGO first announced the Nexo Knights line they revealed it would encompass a number of media types including video games. When LEGO approved Doctor Who as a LEGO Ideas set, it was only a matter of time before the Time Lord made the leap to LEGO Videogames. And he did as part of LEGO Dimensions with a Level Pack and Fun Pack. But the Whoniverse is far to rich with stories and characters to be limited to a brief appearance as part of another game. Doctor Who lends itself perfectly to the structure and key elements of a LEGO Videogame. Multiple worlds to act as hubs, so many characters from across the shows 50 plus year history and a main character who can travel with anyone, anyway, anytime. Season Pass content could focus on many of the shows most iconic stories, plus a number of the TT Games team are big Who fans. LEGO Worlds is currently is in open BETA on Steam and has gained quite the user base. It combines the visuals of many LEGO Videogames with the free building nature of the super popular Minecraft series. It’s currently on playable on PC and Mac, I’ve tried to play it but as with many PC titles you need a pretty powerful machine to get is to run smoothly. With Minecraft starting life on PC, it’s now available available on almost ever console under the sun. I’ve love to see it appear on consoles, with more familiar controls and it would be guaranteed to run nicely on PlayStation, Xbox and Nintendo consoles. One things for sure, you really never know what TT Games have up their sleeves. But you can also hope some of these ideas may be in the works although they may just be a wish too far. The Nintendo exclusive title LEGO City Undercover still remains one of the best LEGO Videogames ever released. A totally original story set in the world of LEGO City, the game followed the adventures of Chase McCain as he set about saving LEGO City from the dastardly Rex Fury. Despite only ever appearing on Wii U and 3DS, LEGO City Undercover has a dedicated fan base. So much so Chase is set to appear in LEGO Dimensions, but he deserves to take on another case. This time on other consoles not just Nintendo, or at least as a Nintendo NX title. As great as the LEGO Videogames are it would be great to see TT Games tackle something a little different. In their early days as Traveller’s Tales, TT Games worked on a number of big titles for other publishers including a number of racing titles. A LEGO themed racer would be great, build your own cars and courses, then head out on the track to take the podium.